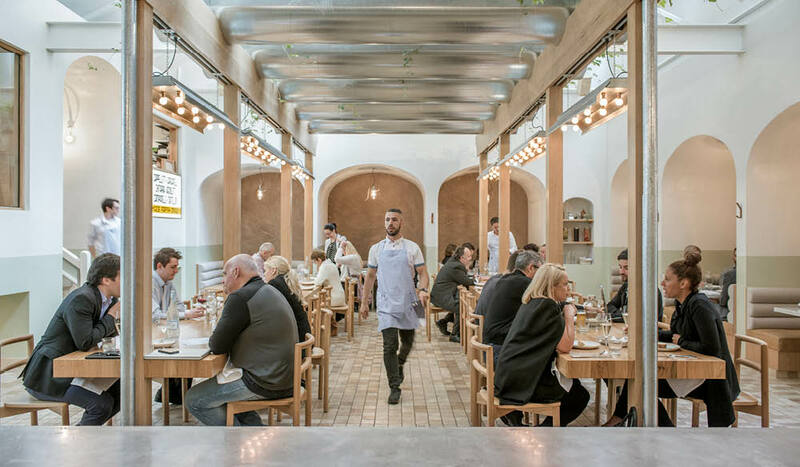 Osteria Oggi was transformed from an office space to a light-filled diner (photo: Peter Clarke). 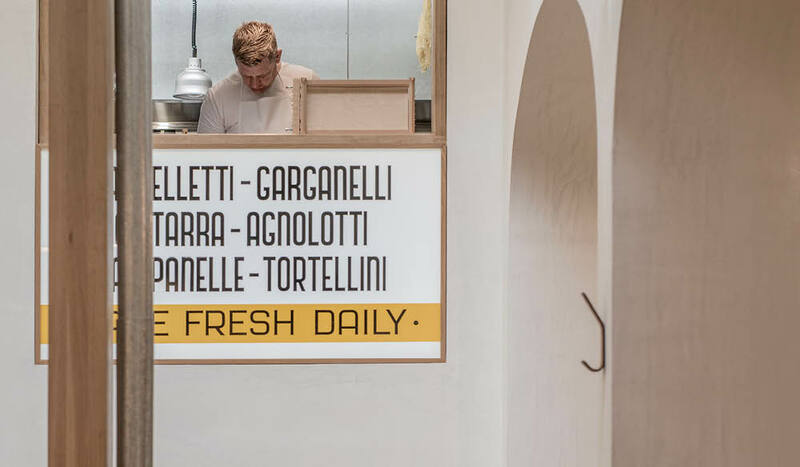 A tired old office space in the Adelaide city centre is revitalised as a light and bright eating space that takes its cues from the unaffected, humble beauty of Tuscany. News award for Restaurant Interiors in February. Recognising designs that have made the biggest impact on the cultural landscape around the world, coming away with a gong was huge news. But the duo were humble in victory, congratulating Osteria Oggi’s owner Simon Kardachi, who commissioned them. It is easy to see what the judges loved; the light-filled diner, formerly a run-down office space, has a humble beauty that belies the exacting effort and time that has been put into realising it. 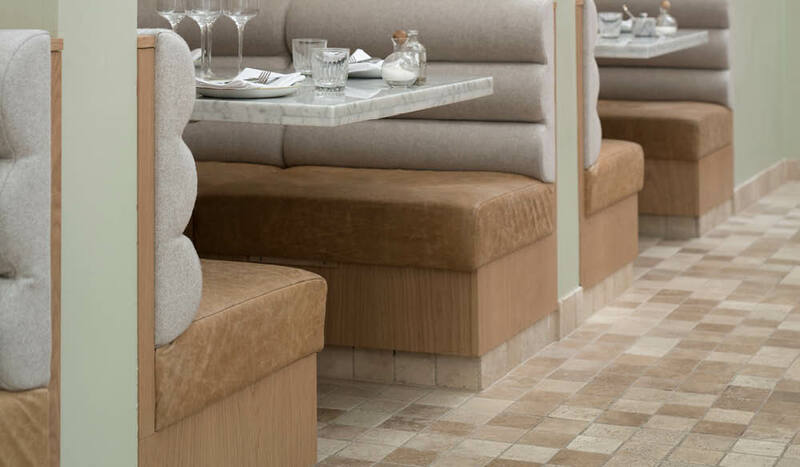 Referencing the piazzas of Italy, layers of texture (wood, concrete, textiles and flagstones) and muted shades combine throughout, with long communal tables running down the centre of the space, and intimate curved booths hugging the walls.